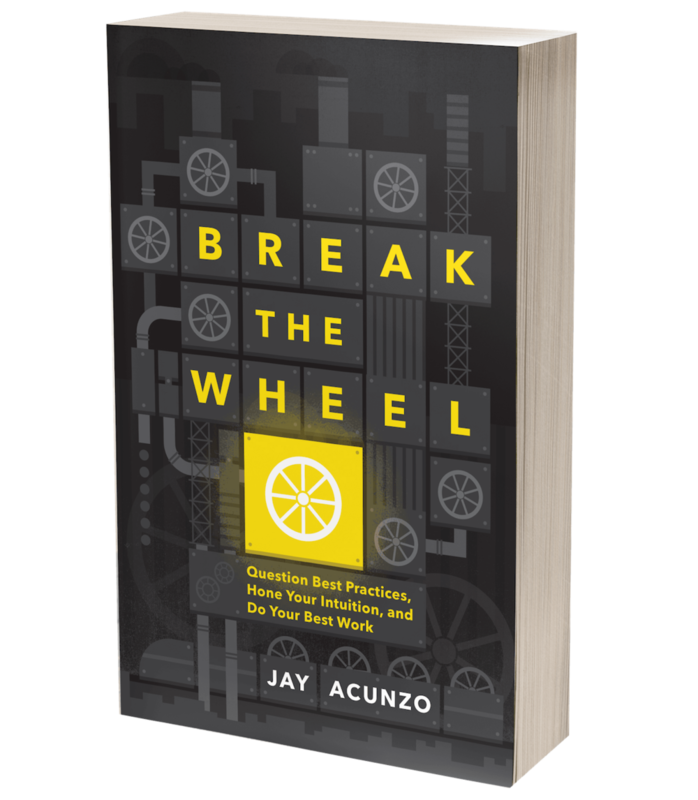 The Despicable Buzzwords We Used & Abused at Google — Jay Acunzo | Author. Speaker. Maker of Shows About Work. A tale from Google sales from 2008. If you read Jim Murray’s sports columns, you’ll realize just how poorly the rest of us command the English language. Murray was a founding writer of Sports Illustrated, a Pulitzer Prize winner, and an eventual Hall of Famer. In college, I was lucky enough to be one of seven students nationwide to win a scholarship in his name thanks to my writing. I was invited to La Quinta, California, to accept the award, and it was there I met several people in “the business” —sports executives, agents, marketers, writers, and even a few athletes, including Dodger great Steve Garvey who sat at my table during the award ceremony. It was also right then and there I realized that, more than anything, I love to write. And I wanted to write columns the way Jim Murray wrote columns — vivid, colorful, emotionally charged, sprinkled with humor, and focused on telling the human story more so than the news or sports story. But then Google shat all over my love of language. After college internships at ESPN and several print newspapers (imagine that! ), I did what most English Literature majors do post-graduation. I moved home to look for work. Anyways, Google miraculously called me back based on my generic, form-based application. I somehow beat the odds. But I wasn’t and am still not convinced that initial call had anything to do with me. You could somehow convey in a resume that you’re the next Einstein, which I am most definitely not, and you’d still get lost in the sheer volume of Google applicants. Back to Google — I got the job in 2008, and I was excited to work in tech for the first time. But an engineer, I am not. I fancied myself a writer. I loved the written word. I loved language. Still do. But Corporate America is where language goes to die, and despite what they’d like you to believe, Google has a lot of Corporate America roaming its halls. You just can’t build a business that large and not lapse into some semblance of hive mentality and automated thought. Don’t misunderstand, I feel incredibly fortunate to have worked there and know I’ve built a better career because of Google. But the buzzwords — Oh, the glorious buzzwords! When I arrived at Google, I was trained for eight weeks on the AdWords product and the finer points of account-based selling. I was also exposed to buzzwords for the first time. I was utterly floored by these … words? … that were used constantly and incessantly. And I was even more amazed that actual humans — ostensibly, creatures with brains and guts and bones that, thanks to the miracle of millions of years of evolution, are capable of producing original, sentient thoughts — went about their days with language on autopilot. It’s hard to say just how absurd corporate jargon sounds when you first hear it. So, partly to cope, and partly to softly rebel, I did what always felt natural: I wrote. Specifically, I wrote a power rankings which I dubbed “The Hornet,” in which I lampooned all the most common buzzwords thrown around the sales department at Google in 2008. It was equal parts coping mechanism and mirror I tried to hold up to people that didn’t notice or, worse, didn’t care just how ridiculous we sounded. Today, I’m sharing my two favorite editions. I wanted to publish here to preserve them in stone (blog posts are forever, you guys … ) and also because I think folks like hearing about the innerworkings of Google, however random or small the story. So, without further ado, I give you The Hornet — the Google buzzword power rankings based on their now-defunct SMB sales team. As a reminder, these were actual phrases used ad nauseam inside Google at that time. Origins: Meet “ADS4” — a small business sales hiring class out of Boston which, on September 22, 2008, was initiated into a world. A world of corp-speak and acronyms. A world of nonsensical sayings and linguistic inefficiencies. (Seriously, “hard and fast rule” sounds both absurd AND is longer than “firm rule.”) A world where the English language is more malleable than fresh Play Doh (and equally as delicious). In short, a world of pure joy. 1. ROBUST — Powerful. Bullish. All-Encompassing. Positively Meaningless. This guy’s got it all. Should be a contender come the regular season on Monday. T-2. BANDWIDTH — Though disappointed by the second-place tie, Bandwidth has plenty of time to improve. T-4. SCALABLE — Scalable spent the entire preseason misused and under-appreciated, only to end up in a tie for fourth. His misery of course can and will spread to many others. T-4. RAMP UP — With a fourth-place finish, Ramp Up is, apparently, still growing into himself. 6. GRANULAR — Granular lands in a surprisingly high spot on this list. Just proof that paying attention to the details is important. 7. HIGH LEVEL — High-Level spent all preseason looking down at Granular, only to wind up ranked just below him. I tried to explain what happened to High-Level in greater detail, but he’d have none of it. 8. DYNAMIC — Dynamic takes the eighth spot for now. In the future, look for him to move up. Or down. Or stay the same. Who knows, really? 9. DRILL DOWN — Other buzzwords may feel snubbed by the ninth-place ranking. Not Drill Down. He’s right at home at the bottom of things. 10. NICHE — Niche is probably the only buzzword who wants out of this list altogether. He can’t stand being grouped with others. MISSED THE CUT: Back-end, hard and fast, black box, best practices, moving target, sync up, transparency, toggle, ping, deck, dinged. SENTENCE OF THE WEEK: You gotta ramp up to drill down. BANDWIDTH: To always be open to new things. ROBUST: To convince everyone that size does in fact matter. ONE-OFF: To be important enough to claim the spotlight. Just once. Just for a bit. DYNAMIC: To find a more steady relationship and settle down. RAMP UP: To finally reach the top, take a deep breath, and coast for a little while. NICHE: To fit in with everyone else. HARD AND FAST: To loosen up. DING: To stop being such a screwup. And to reconnect with long-lost brother Ping. BEST PRACTICES: To stop being so awesome all the time. Seriously, fellow businesspeople, what the hell are we doing with our language? Posted on May 13, 2015 by Jay Acunzo.